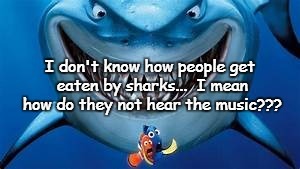 I don't know how people get eaten by sharks... I mean how do they not hear the music?? ?